The 2016 survey from OpenStack’s community and users was released this week. The purpose of this survey is to provide a glimpse at cloud deployments, use cases, and user attitudes to help guide future development in the technology of OpenStack. The survey represents responses from 1,111 organizations. Key findings included the continuing trend of cloud maturity. The survey also found strong evidence of deployments upgrading to the two most recent releases of OpenStack. Some other findings included Ceph remaining the top storage option for OpenStack, being used by 57% of the survey’s respondents. This is the fifth survey that Ceph has come out on top. According to the survey’s report, people choose OpenStack because of the community support, avoiding vendor lock-in, consistency, stability, and the importance of open source in technology. 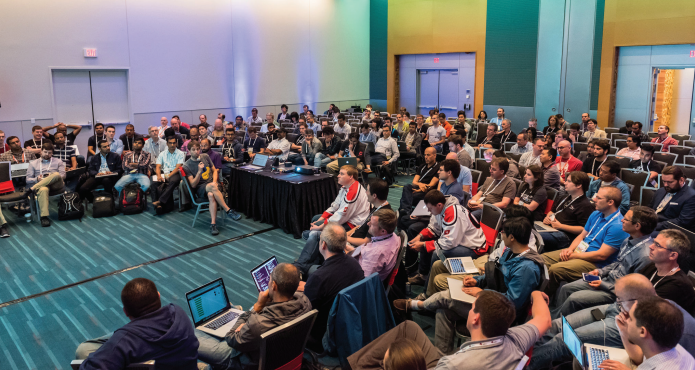 Another positive is that OpenStack encourages developers and new contributors. However, complexity, difficulty in deployment, inconsistency, and lack of stability were cited for negative factors of using OpenStack. A team out of MIT has created a startup called AlphaSheets, which builds collaborative, programmable spreadsheets to bridge the gap between those who code and those who do not. The team is starting its focus in finance, according to its website, and it plans on expanding its verticals to business intelligence, risk management, and bioinformatics. Coding at AlphaSheets is “more pleasurable,” said the team, because it uses the strongest type safety and concise languages to run the startup, like ECMAScript 6, Flow, Haskell and React. An example of something that AlphaSheets can do is create a spreadsheet that estimates how long a project can take. Twilio, a cloud communications platform for developers, announced API support for connecting to messaging applications. Twilio is a featured partner of Facebook Messenger, so with this launch, its users can reach customers over Messenger in addition to SMS on Web and mobile. Since Facebook announced bots on Messenger as a part of its new platform, developers using Twilio can leverage these bots so they can communicate with customers. Twilio has chosen Facebook Messenger as the first messaging application to add to its platform. More information about Twilio and how developers can build apps to engage with Facebook users can be found here. CollabNet has announced the release version 16.3 of TeamForge. This release includes integrations with the cloud-hosted version of JIRA Software and Chef. It also includes support for pull request-based collaboration and code review workflows. The new integrations offer enterprises a way to accelerate agile and DevOps transformations. TeamForge allows monitoring the execution of Chef recipes and records, and it links data from Chef and other life-cycle tools to automatically create a set of associations between related artifacts and activities, according to the company. With the Web-Hooks-based integration, TeamForge supports on-premise and cloud-based versions of JIRA Software. Also, with Git pull request support, customers can choose the code review and collaboration method that fits their teams’ needs.